ASK ABOUT OUR LOW FINANCING RATES!!!! MILEAGE IS NOT AVAILABLE WITH NO SPEEDOMETER. Tough Grizzly-style bodywork with integrated floorboards keeps the trail where it belongs for long-lasting good looks. Class-longest wheelbase and a big thick seat atop a full-size chassis mean transporting big loads and big people is not a problem. Torquey, powerful and fuel-efficient engine working through a five-speed automatic-clutch gearbox provides more than enough power to get just about any mission accomplished. Large-diameter ventilated hydraulic front disc brakes and a fully sealed rear drum provide sure stopping power in a variety of conditions. Wrinkle finish front bar carry and cargo racks are super-durable and can pack a class-leading total of 165 pounds (66 front, 99 rear) of payload. Standard trailer hitch can haul nearly 730 pounds of payload. Smooth, torquey 230cc air-cooled SOHC four-stroke single produces superb low- and mid-range power for both utility and recreational use. Easy, pushbutton electric starting in any gear is backed up by an auxiliary recoil starter. Smooth-shifting five-speed transmission with automatic clutch, easy-to-reach reverse lever, and super-low stump-pulling first gear. DC-CDI ignition system ensures dependable starting and puts out consistent spark at all RPM for optimal engine performance. 33mm Mikuni BSR carburetor ensures great throttle response and engine performance. Lightweight chassis setup combines low-effort steering with a tight turning radius for sharp, responsive handling in a wide range of conditions. Class-longest wheelbase, at 46.1 inches, creates ample legroom to further enhance rider comfort. MacPherson strut front suspension serves up 4.9 inches of wheel travel. Sturdy steel swingarm uses a single rear shock producing 5.3 inches of wheel travel and five-way preload adjustment. 5.9 inches of ground clearance and a smooth undercarriage thwart most trail obstacles. Heavy-duty front carry bar, skid plate and bodywork enhance overall durability by protecting against rock and debris damage. Rugged fenders are extra wide, for outstanding mud and splash protection. Specially designed, thickly padded seat is wide and contoured for incomparable rider comfort. Easy-to-use, handlebar-mounted choke and parking brake. ATVs with engines of 49cc to 70cc are recommended for use only by riders age 6 years and older, and always with adult supervision. 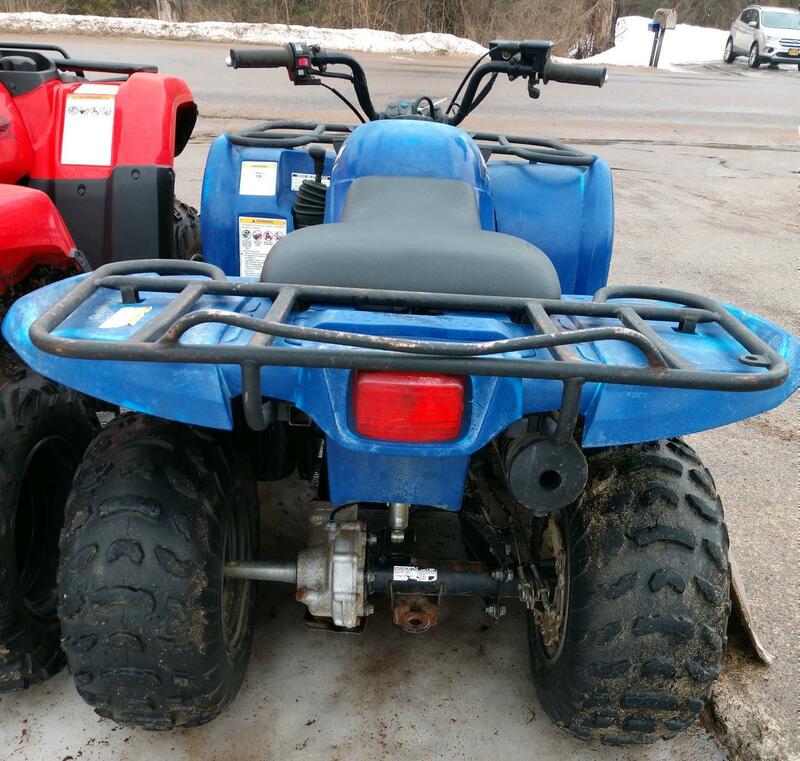 ATVs with engines of 70cc to 90cc are recommended for use only by riders age 12 years and older, and always with adult supervision. 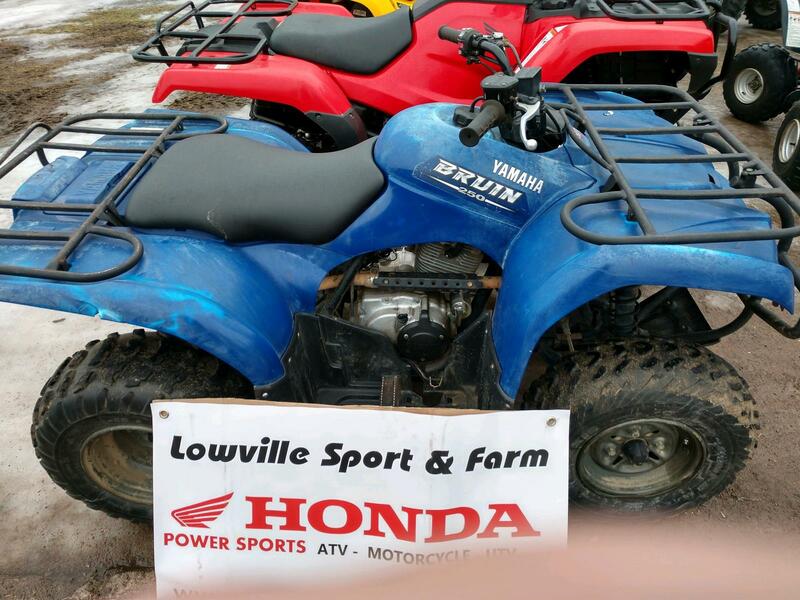 ATVs with engines 90cc or greater are recommended for use only by riders age 16 years and older. Yamaha recommends that all ATV riders take an approved training course. For safety and training information, see your dealer or call the ATV Safety Institute at 1-800-887-2887. ATVs can be hazardous to operate. For your safety: Always avoid paved surfaces. Never ride on public roads. Always wear a helmet, eye protection and protective clothing. Never carry passengers. Never engage in stunt riding. Riding and alcohol/drugs don't mix. Avoid excessive speed. And be particularly careful on difficult terrain. 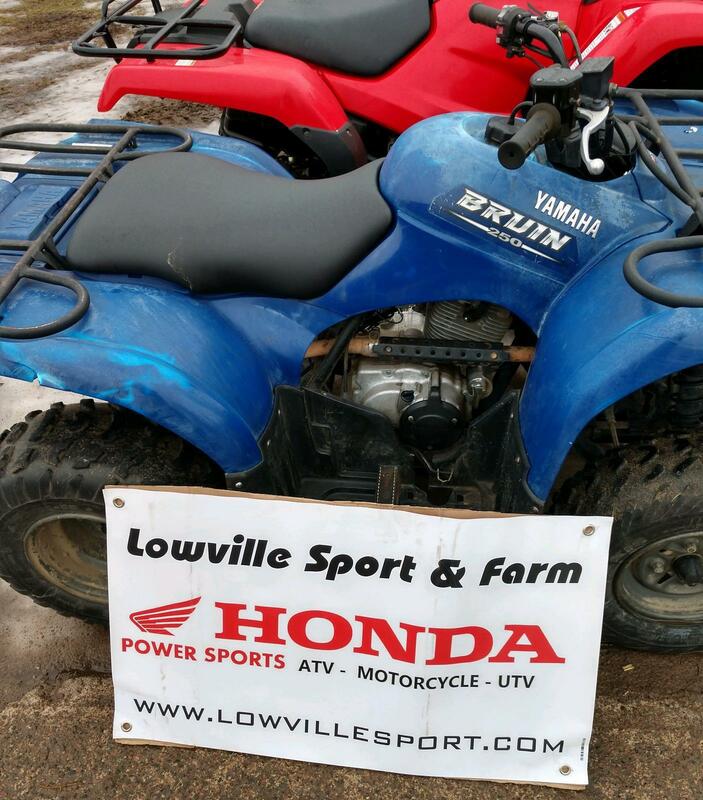 There are few joys in life equal to the free-spirited thrill and experience of ATV riding. And that's why it's important for all of us to do our part as responsible riders. By following logical, common-sense rules, we can maintain season after season of unparalleled enjoyment of our sport. Please remember to “tread lightly.” Always ride in a responsible manner, respecting the environment as well as all state and local laws. Specifications subject to change without notice. 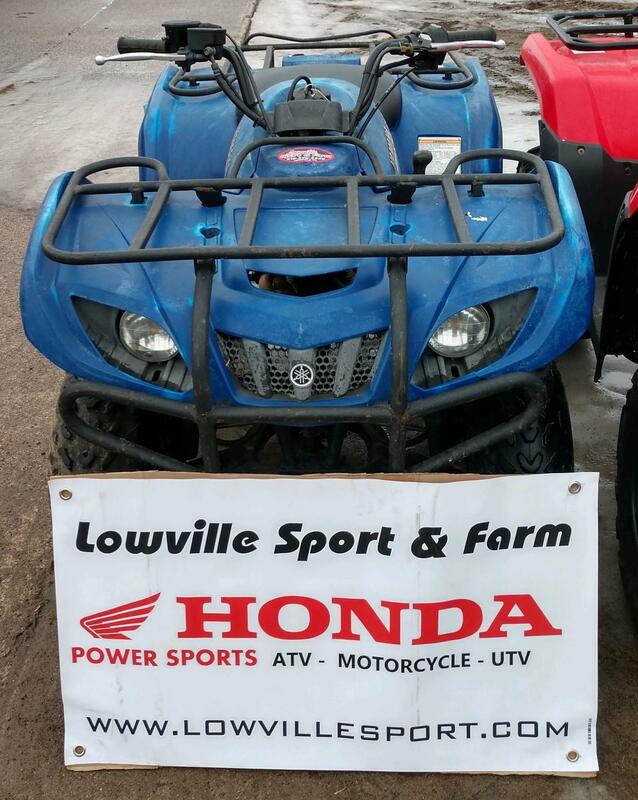 All ATVs come with a 6-month Limited Factory Warranty. See your dealer for details. 75.4" x 40.9" x 44.0"